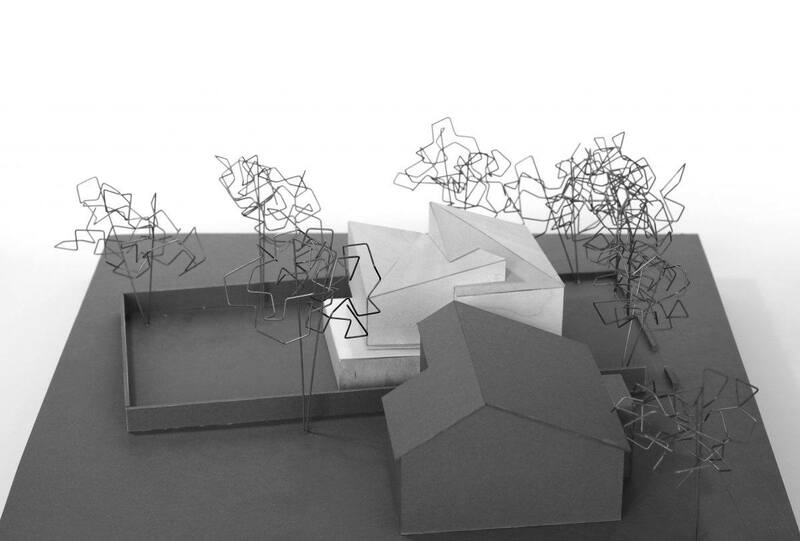 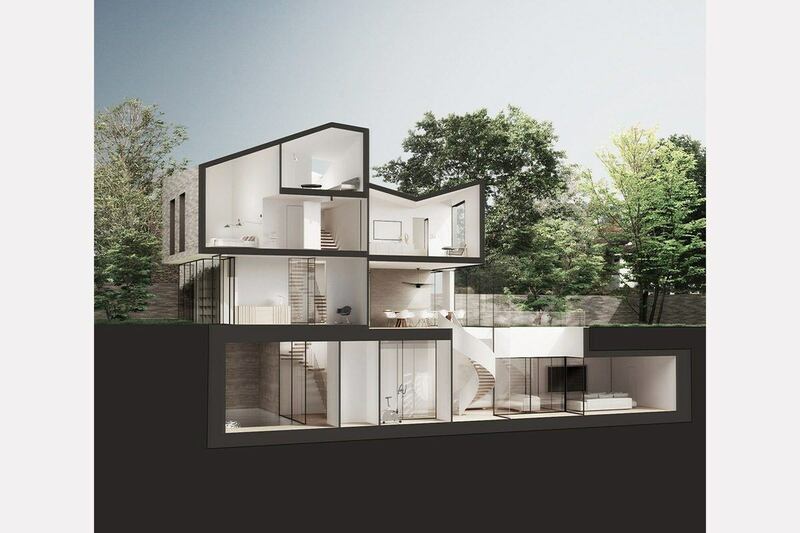 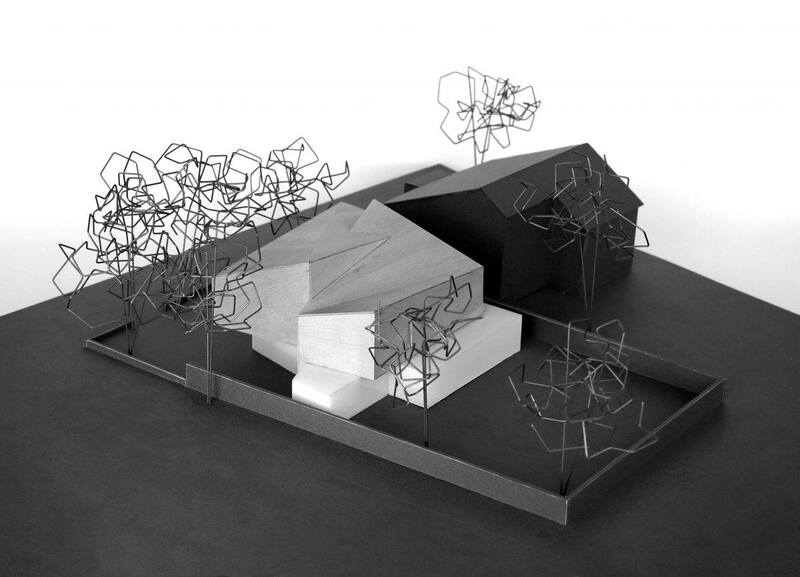 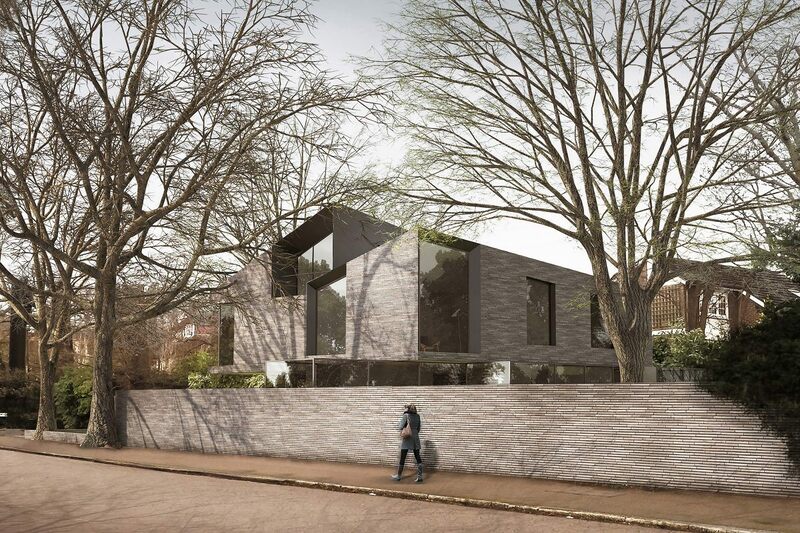 Our proposal replaces an existing nondescript 1960’s home on a prominent corner site between Hampstead Lane and Sheldon Avenue, surrounded by mature trees and a high brick wall to the garden. 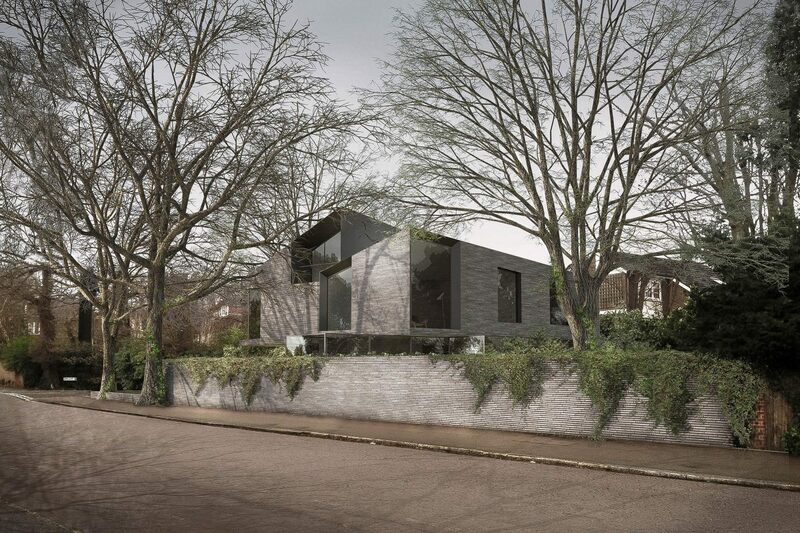 The property has views across Hampstead Heath towards the City of London. 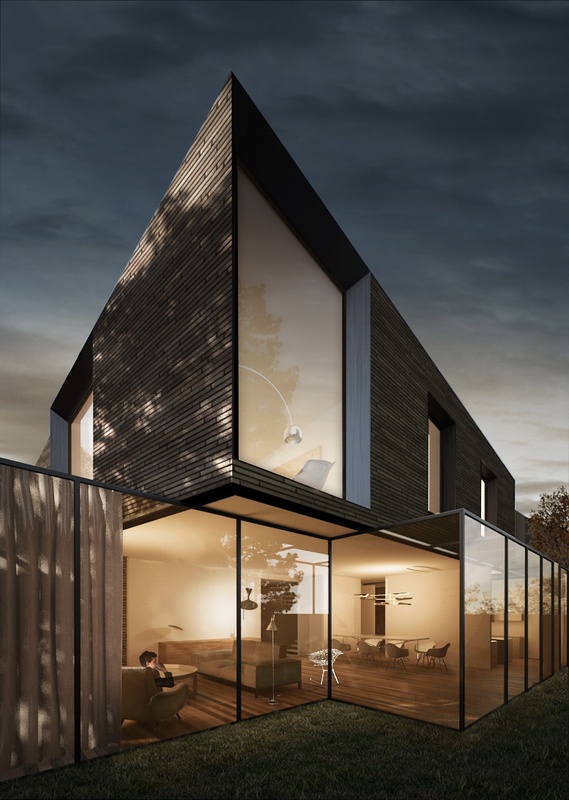 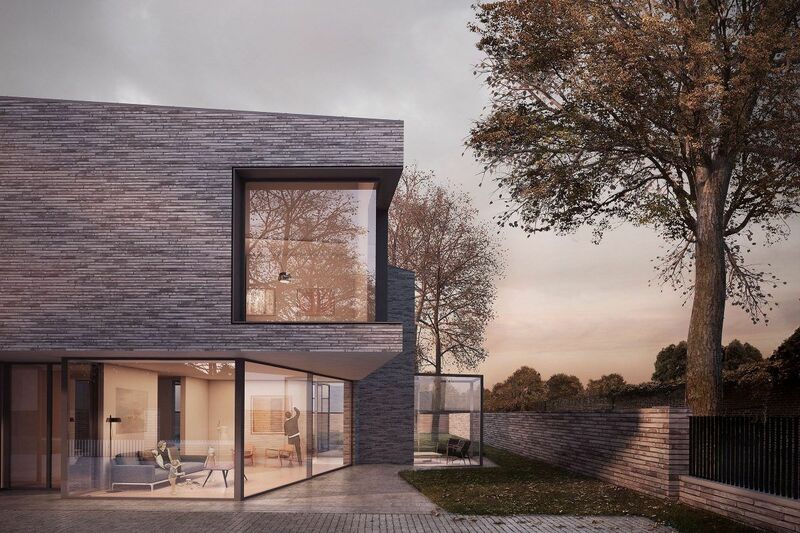 Located on an unusual site with three exposed elevations, the buildings’ forms twist as they rise, with solid upper floors balanced on top of a glazed base. 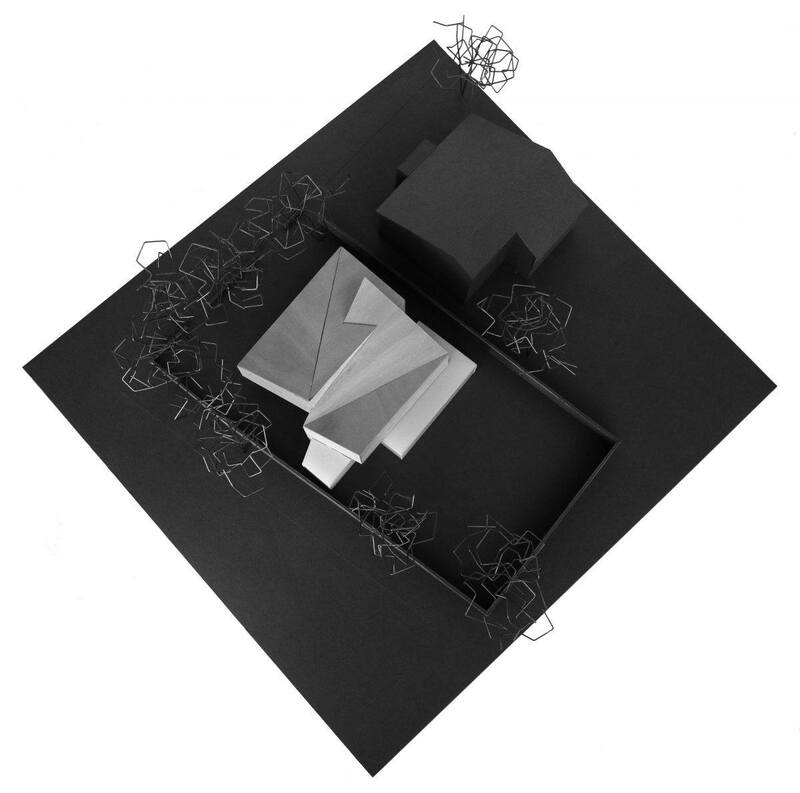 A delicate interplay of public and private views respond to the intricacies of the site and capture a glimpse of the city which dictate the arrangement of form, materiality and fenestration. 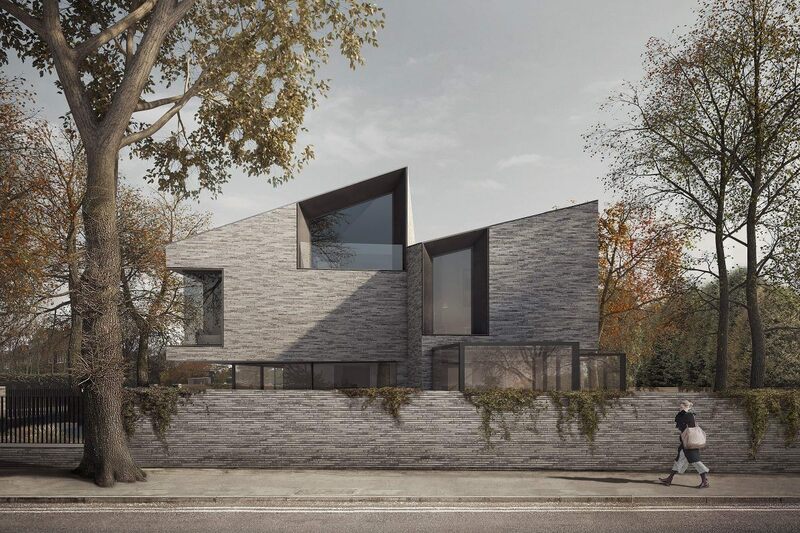 The solid volumes of textured, grey brick provide a counterpoint to the precise zinc and aluminium fenestration whilst acknowledging and harmonising the building within its immediate environment.